Starbucks is one of America’s true iconic brands. Right up there with McDonalds, there are few places you can go in the world and not find a Starbucks. In other words, it is a brand worth celebrating. More than that, it is a brand worthy of an entire day. Thus, September 29 is National Starbucks Day. From humble beginnings in the coffee-crazed city of Seattle, Starbucks has become the name behind coffee all over the world! ​After a trip to Italy, Starbucks ​Director of Retail Operations and Marketing Howard Schultz was inspired to serve coffee in a similar fashion to the Italians — with a coffeehouse culture that he felt was lacking in America. ​You can find the original store in Seattle's Pike Place Market — a great place to visit! Try the Starbucks on board a train in the Swiss Alps! With all of its unusual locations, Starbucks has become a blast. Just don't forget to throw a photo up on Instagram to commemorate. A great way to celebrate National Starbucks Day is by buying the drink for the person behind you. You may even start a "pay it forward" chain, and make everyone's National Starbucks Day even better! If you usually get a hot drink, opt for a cold one. Get crazy and throw a bit of flavoring into that plain iced coffee. Step outside of your comfort zone this National Starbucks Day and you never know — you may end up finding your new favorite drink. ​The second most popular drink at Starbucks is an Iced White Chocolate Mocha. With both white chocolate and vanilla syrup, the sweetness of this drink is pretty epic. ​Why eat a cinnamon roll when you can drink it? Many people cannot (and do not want to) imagine their day without a cup of coffee. It is what gets us out of bed and pushes us through the most difficult days. One could call it a vital part of our lives, and who's to argue? Some of the craziest Starbucks locations include Paris' famous Louvre museum and Guantanamo Bay. You never know when the need for coffee is going to strike. 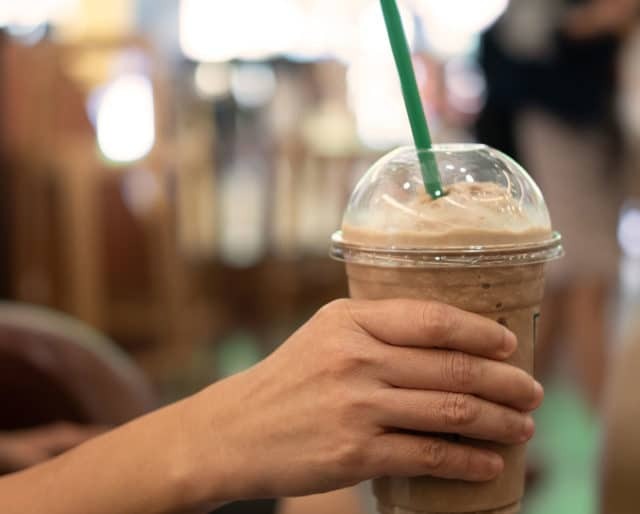 From a Horchata Almondmilk Frappucino, to its smash hit color-changing and flavor-changing Unicorn Frappucino, you will never be forced to order anything boring.